Hashtag - a definition: by placing the hash key in front of a word or phrase, you turn that particular term into a clickable link. When users click that link, they’ll be taken to a page that displays all posts that also use that hashtag (the word “hashtag” was added to the Oxford English Dictionary in 2014). So, what do you need to know about Instagram hashtags in 2018 and how to best leverage them for your own account? Let’s dive into the details. After the shadowbanning frenzy of 2017, hashtags are back in business full swing, and that's what you need to know. To get started, search for a topic you’re interested in or tap on a hashtag from any post. You’ll see relevant hashtags displayed in your search results along with related accounts. When you find a hashtag you like, open the hashtag page and tap on the "follow" button. You’ll begin seeing top posts from that hashtag in your feed and some of the latest stories in your stories bar. This is a great way to tailor your 'explore' functionality a bit more, and allow you to engage with different users and get out there more. We would recommend you to follow only 2/3 hashtags at a time. Pro tip: follow hashtags that are relevant and quite specific, in order to avoid spammy pictures appearing on your feed. Dedicate some time each week to look at other posts that use the hashtags you frequently rely on, and leave comments or like those images. 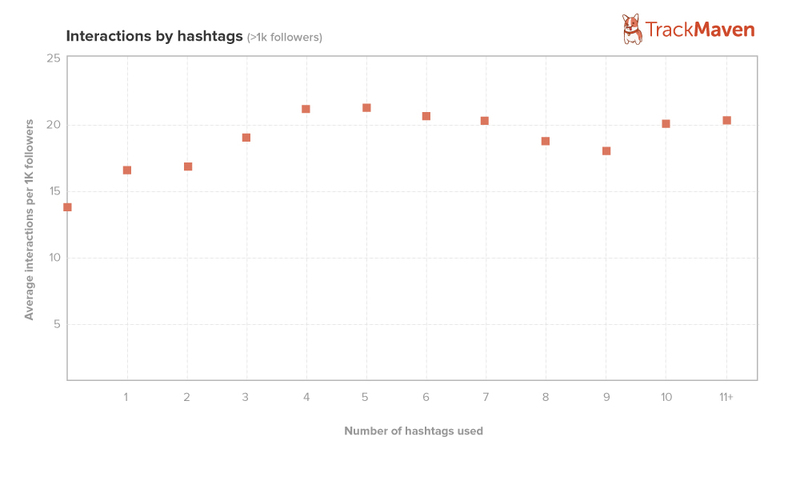 Posts that use hashtags get far more engagement (there's also a study backing us up on that, we are talking 12.6% more engagement). Brands you love: brands you worked with, or brands you think have a very similar content to the one you promote yourself. Influencers you love: Influencers within your field are another good resource to check out to get an idea of what hashtags are popular. Even including just one hashtag with your posts can give your engagement a major boost. But, studies show that the best amount to include is four or five hashtags (go up to 20 if you wish, just remember the allowed limit is 30 per post). As the HBC, we format our hashtags as follows: we put our signature hashtags in the caption, and the rest in the first comment, rather than as part of the caption (hashtags within a caption are still searchable). However, since Instagram’s algorithm starts working right away, you don’t want a huge delay between when your image is posted and when your hashtags are added. So, you’d want to post that comment immediately after your photo went live. Pro tip: save a list of your favourite hashtag in your notes for easy reference. Should you create your own hashtags? It's essential to make your hashtag quite recognisable, and new. Make sure nobody else is using it already. Again, when coming up with your own branded hashtag, research is important to confirm that your hashtag is unique and not associated with inappropriate content. You’ll also want to keep the basic best practices in mind—including keeping it short, simple, and free of special characters. Pro Tip: Relevance is key when it comes to identifying hashtags for your own Instagram strategy. Check to ensure that a particular hashtag doesn’t have too much inappropriate content associated with it.